Nobody is as genuine and as honest in this world as the sensitive people. Trust them, love them and they will be an open-book to you. They will melt in your love and care and share everything about them. But when they are hurt, when they are betrayed, they will quit and leave. If their heart is mirrored, it will reveal the scares and wounds etched on their souls. The people who are sensitive thrive in a constant feeling of guilt for being misunderstood; they suffer pain for not being able to resolve misunderstandings in any form of relationship. Filled with endless love for this universe, these wounded souls cannot live cherishing hatred for anyone or knowing that they are hated by some. All they need is love to survive. Just give them infinite love and they wouldn’t want anything else. Rather, they will give everything in return. 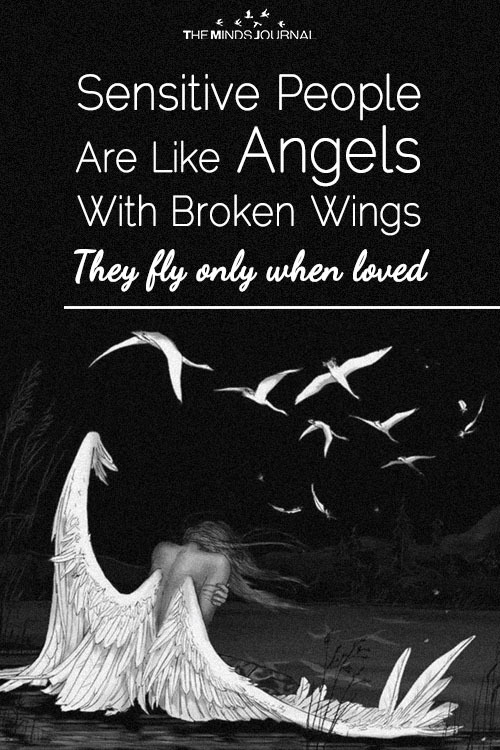 No matter how much trauma they have gone through their lives, if they find someone who is broken, they will not step back an inch; instead, they will fight for them and try their best to heal other broken souls. 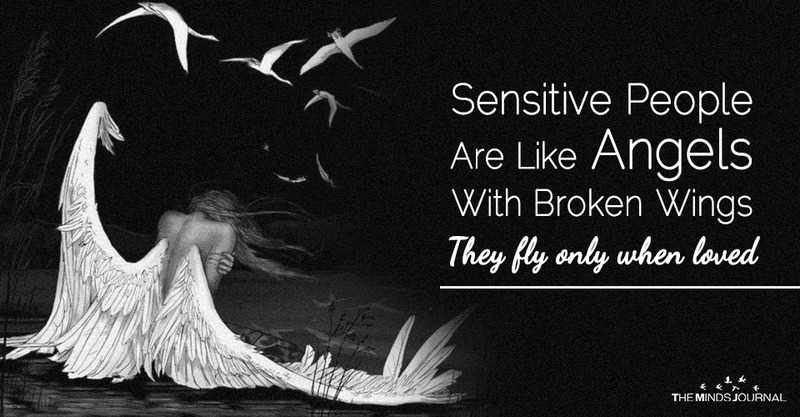 These highly sensitive people are angles whose wings are broken. Their life is a wave of highs and lows. They live with guilt and constant pain over unresolved situations and misunderstandings. They have tortured souls that are not able to live with hatred or being hated. However, despite the tragedy of what they have to go through in life, they remain the most compassionate people worth knowing, and the ones that often become activists for the broken-hearted, forgotten and the misunderstood.